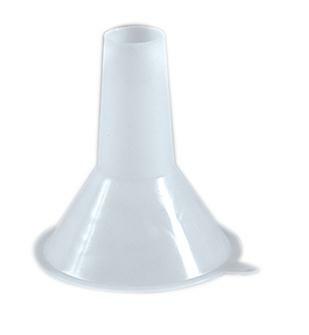 Pudding funnel for manual casing. Hand blood pudding funnel in white plastic. For filling large pudding casing easily.